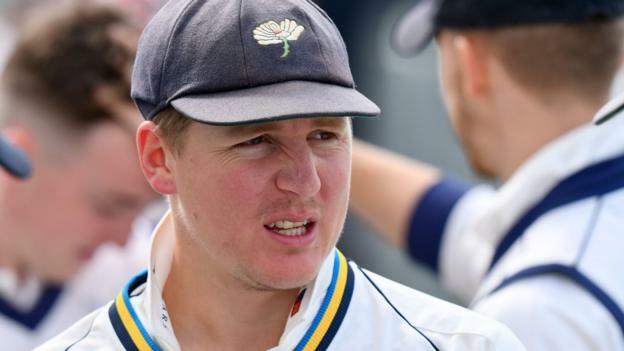 BBC UK – Gary Ballance replaced Andrew Gale as Yorkshire captain at the start of the 2017 county seasonEngland batsman and Yorkshire captain Gary Ballance is taking a break from cricket because of “personal reasons”. Gary Ballance replaced Andrew Gale as Yorkshire captain at the start of the 2017 county seasonEngland batsman and Yorkshire captain Gary Ballance is taking a break from cricket because of “personal reasons”. Yorkshire say they have granted the 28-year-old “time away from the game” and he will miss “several” One-Day Cup matches, starting at Durham on Friday. Ballance, who has 23 Test caps for England, did not play in the Tykes’ most recent County Championship fixture – an innings defeat by Surrey. “We ask that his privacy be respected during this time,” said a statement. Pace bowler Steven Patterson will skipper the side in Ballance’s absence.